National FFA Week: Feb. 17-24. It’s a time to share with local, state and national audiences what FFA is and the impact it has on members every day. See how your chapter can get involved! The CWC Annual Convention is only one week away! 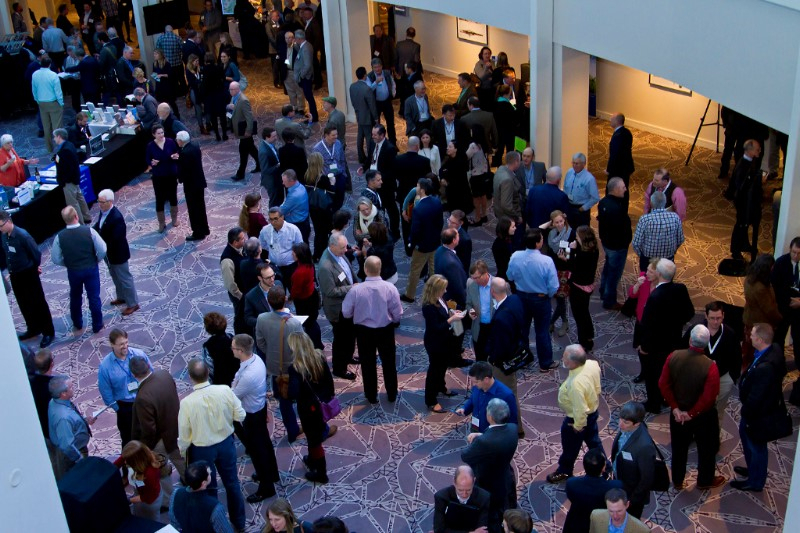 Join us at the Hyatt Regency Denver Tech Center January 24-26 for the premier water industry event in the state. This year, you have the opportunity to pose questions to some of Colorado water’s most influential leaders during three of the convention sessions. Please send your questions to Chane@cowatercongress.org no later than Friday, January 19. We will select the top two questions for each session. Are you thinking of installing a center pivot irrigation system but have several questions? How much is it going to cost? Can I use my ditch or canal water, or is it better to install a well? What about putting a center pivot on my least productive land — will I ever get my money back? How do I find augmentation water and how much does it cost? Am I eligible for higher cost share benefits? DENVER (January 17, 2018) —Today, the U.S. Environmental Protection Agency (EPA) identified the Eagle Mine Superfund site in Eagle County, Colo. as among 31 current and former National Superfund Priorities List (NPL) sites with the greatest expected redevelopment and commercial potential. The Museum’s Western Heritage Awards was established in 1961 as the pinnacle commemoration of the American West by honoring the legacy of men and women for their works in literature, music, film, and television. The evening includes the induction of individuals into the Hall of Great Western Performers and the Hall of Great Westerners who made extraordinary contributions to shaping the American West’s rich heritage. The evening continues with the Chester A. Reynolds Memorial Award presentation named after the Museum’s founder, given to an individual for their unwavering commitment to the American West’s future. All award recipients receive a Wrangler, a bronze sculpture of a cowboy on horseback representing an iconic symbol of American West determination, persistence, and pride. The 2018 Western Heritage Awards is unique in that the Museum will also honor Philip Anschutz with the inaugural Western Visionary Award. NYFC and the Rocky Mountain Farmers Union are offering a Produce Safety Workshop for fruit and vegetable growers at this year’s Farm and Food Forum on January 25th and 26th! Many smaller fruit and vegetable growers ask why they should bother attending a FSMA workshop if they’re going to be qualified exempt. We think understanding food safety basics and food safety regulations is important from a business perspective. Perhaps your business will grow by size or marketing strategy and fall into a category where you’d need to be in full compliance with the rule. Maybe your buyers will begin to require certification. Even if you stay small-scale and qualified exempt, you’ll be happy to be growing the healthiest produce you can, and considering food safety standards can improve the health and shelf-life of your product. Plus, this workshop is taught by trainers with experience running small diversified produce farms. This training is filling up super fast, but there is another workshoporganized by RMFU in Greeley at the same time, and RMFU is tentatively planning another in Durango. Stay tuned! Ames, Iowa – Swine Health Information Center (SHIC) Executive Director Dr. Paul Sundberg presented the 2017 Annual Report and the Center’s accomplishments at the National Pork Board meeting on January 9, 2018. The report was accepted and the organization’s efforts to protect and enhance the health of the US swine herd by providing return on the investment made in the Center validated. INDIANAPOLIS (Wednesday, Jan. 17, 2018/National FFA Organization) – During the past two weeks, 74 FFA members visited South Africa for a 12-day educational and cultural experience. Members participated in the 2018 International Leadership Seminar for State Officers (ILSSO) as an annual, international opportunity through the National FFA Organization. The seminar allows FFA members to experience a foreign culture, learn about international agriculture and become more knowledgeable on the global marketplace. WASHINGTON, D.C.—Today, the National Association of Conservation Districts (NACD) and American Farmland Trust (AFT) released a handbook to highlight the role conservation districts play in water quality trading and other environmental markets programs. AFT and NACD collaborated to produce the “Handbook for Conservation Districts on Environmental Markets,” which is a detailed look at how conservation districts and their partners are engaged in water quality trading and payments for ecosystem services. The handbook provides guidance and lessons learned from the real-world experiences of conservation districts across the country. This three-year project was funded by a Natural Resources Conservation Service (NRCS) Conservation Innovation Grant. The handbook is meant to help conservation districts determine potential roles in water quality trading and other environmental markets programs. It includes key findings and recommendations, nine case studies from conservation districts across the country, and a checklist for conservation districts interested in water quality trading and other environmental markets. 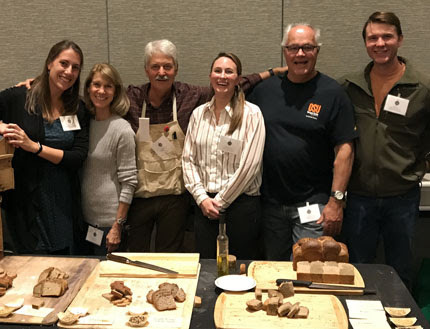 Photo caption/credit: Barley Project members at The Plant Variety Showcase (October 12, 2017, Portland, OR) showcase breads made from Buck (and other naked barleys) in the foreground. From left to right: Brigid Meints, Rebecca Hayes, Patrick Hayes, Laura Helgerson, Andrew Ross, and Scott Fisk. Photo provided by Patrick Hayes. Washington D.C. (January 17, 2018) – The National Wheat Foundation’s (NWF) annual National Wheat Yield Contest officially kicks off Jan. 17, 2018. In its third year, the contest continues to drive innovation in the industry by spotlighting the best practices among American wheat growers. This year, the contest is adding a quality requirement, raising the bar for what constitutes the greater grain among U.S. wheat growers. Foundation Board President Phil McLain believes adding a quality component to the contest will encourage growers to share approaches and techniques that help improve quality and maintain yields. U.S. Senator Joni Ernst of Iowa told the Iowa Corn Growers Association this week that President Donald Trump appears to be reassessing his position on the North American Free Trade Agreement. Ernst told farmers Monday that “I think he has doubts,” when it comes to withdrawing from NAFTA. Iowa’s Cedar Rapids Gazette reports that Ernst expects a follow up NAFTA meeting with the President, following a meeting between Trump and a group of farm-state Senators in December. She says the goal is to make sure the President understands that NAFTA is “a good thing nationwide,” and not just for one particular economic sector. The NAFTA negotiations will resume later this month in Canada. Ernst fears that if the talks fail, Mexico, the top buyer of U.S. corn, will find mass supplies of the commodity from other nations. The National Pork Producers Council says allowing Mexico to export pork to the U.S. is a sign of good trade relations. The Department of Agriculture last week finalized a regulation allowing Mexican states to export pork to the United States. USDA’s Animal and Plant Health Inspection Service is implementing a science-based risk assessment that determined Mexico is free of Classical Swine Fever, a highly contagious viral disease in pigs. It was eradicated from the United States in the late 1970s. APHIS in 2016 concluded that the risk of the disease from pork imports from Mexico is negligible. Noting that Mexico is the second largest export market for U.S. pork, NPPC President Ken Maschhoff says: “Maintaining our good relationship with that country by ensuring fair and reciprocal trade is paramount for our producers.” Mexico first requested access to the U.S. market in 2007, but USDA determined Mexico’s control program for Classical Swine Fever was not sufficient to classify the country as negligible risk for the disease. The United States has reclaimed the title of top beef exporter to South Korea in 2017. The change comes 14 years after a U.S. outbreak of mad cow disease that led to a ban of U.S. beef in South Korea, handing the top spot of the market to Australia, according to Reuters. U.S. beef shipments jumped 13.7 percent last year to 177,400 metric tons, accounting for nearly half of South Korea’s beef imports. Australian shipments eased about four percent to 172,800 metric tons. Beef is a diet mainstay of South Korea, and the nation is the world’s fourth-biggest beef importer, and the third biggest buyer of U.S. beef in 2016, rising to a value of $1.1 billion in 2017. A Korea-based trade researcher attributed the change to the 2017 drought in Australia and a tariff gap between the U.S. and Australia. U.S. beef will attract a 21.3 percent tariff in 2018 while the tariff for Australian beef will be 26.6 percent. More than 30 native American tribes have formed the Native Farm Bill Coalition in an effort to give native American farms a voice at the farm bill table. Minnesota Public Radio reports that the coalition is an outgrowth of programs to improve health and expand access to health food for Native Americans. The coalition says that for decades, Indian Country has largely been pushed to the side during farm bill discussions. That means, according to coalition leaders, Native Americans and tribes are “missing out on major opportunities to protect and advance their interests.” The Native Farm Bill Coalition is a joint project by the Seeds of Native Health campaign, the Intertribal Agriculture Council, the National Congress of American Indians, and the Indigenous Food and Agriculture Initiative, to improve Native dietary health and food access.